Just a few of us getting our BCorp on. I can remember our early conversations about Red Gum BBQ – back in our little rental house in Mornington. Martin was a Youth Project Officer for local Council in the city and I was a high school teacher. We were completely naïve about what it meant to open a BBQ restaurant and dreamt of all of the different things our business would be. One thing we were both clear on was that it had to be Good. Not good food, good service, good branding or ambiance (and yes, all of those things). But Good for the world. For our community. For us. We weren’t moving away from professions that filled our hearts and souls with a sense of purpose to shift into one of corporate greed and profit above ethics. We decided at the start that we would underpin all our decisions with a consideration of morality. We wanted to be a different kind of business – one that we could be proud of for its footprint – the way that it existed in the world and the impact it had on all it touched. In the beginning we described this as a ‘desire to be Good’ driving our decision-making. We thought about all of the ways we could make this happen. One of the most obvious and most important was our use of free range meats. We lamented on what little unsavouriness we knew about the meat industry and factory farming and wanted to ensure we were doing what we though was right by the animals and our small part toward supporting an industry that prioritised ethics in farming. This wasn’t easy. When we started the business in 2013, we struggled to find free range farms who could supply us quantity and the prices were astronomical – we certainly couldn’t compete with others selling similar products for less. We kept at it. Never taking the easy way out. Never putting the profit margins above this commitment. We decided that what we needed to do was just talk about it more. Explain to people why they paid more for us and why it was important. We continue to get better at this. Looking for not only farms but abattoirs that use humane practices, learning more about where we get our products and how we can ensure we’re connecting with local and ethical farmers. When we started planning for the restaurant in 2016 – we expanded this journey. 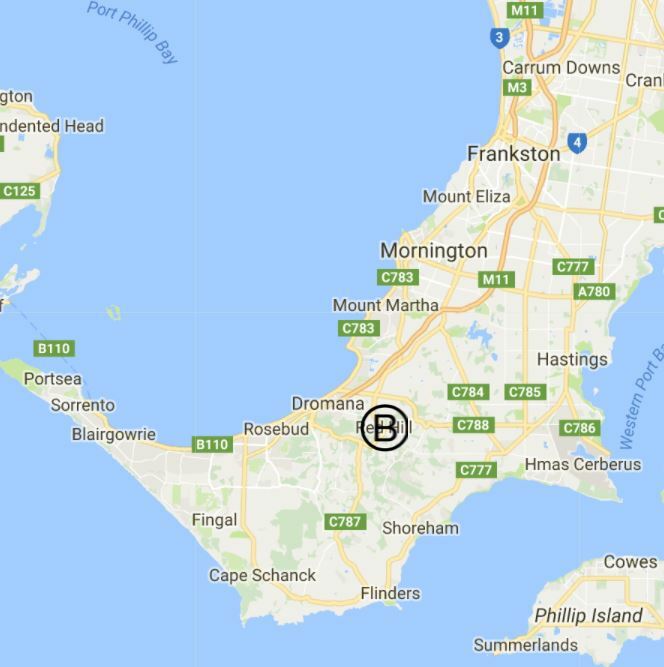 We looked at our beautiful Mornington Peninsula area and decided that we would find our wines exclusively from this region. Sure, they were more expensive, but they were our neighbours and local families. This allowed us to support businesses and develop relationships with the people in our area and who similarly, are contributing to our local community. We sought craft beers – specifically – from small brewers and as local as possible – sticking to Victoria as a rule. We love the experience of knowing our suppliers and nurturing a community of like-minded businesses - expanding a kinder and more ethical approach to the ‘for profit’ world. Our community is not just the people and businesses around us but it’s the ones in the building. The beautiful and unique family of people who work with us to deliver all kinds of BBQ magic all year round. We fretted and considered how we would support those people and how we would create a space for them that was fair, nurturing and fun. We pay on the award and believe that this is not only legal but the right thing to do. We offer flexible working hours and arrangements, we value the people and their time and we have policies around treating each other with respect and kindness. We spend time and energy thinking about how to make our workplace a place that is diverse, safe and kind and this shows up in all kinds of wonderful ways. “B Corp certification is to sustainable business what Fair Trade certification is to coffee. I first found the assessment online and thought that I would do it quickly and see what came of it. Two hours later, without any sense for where I was in the process or how I could possibly answer some of these incredibly detailed and complex questions, I walked away. The assessment wanted to know anything and everything about our Governance, our Workers, our Community and our practices that affect the Environment. One full day workshop, 8 assessment hours later, 1 three hour skype call, 3 full days of providing authenticating materials, 2 further stages of review, and 6 months after I first sat down to do the assessment, we earned our B Corp status. We join the likes of Ben & Jerry’s and Etsy who call themselves B Corp and are part of the growing group of businesses who believe that profits and being good are not mutually exclusive concepts. Our home. First in the region! And first restaurant in Oz! So what are the benefits? Firstly, we get to feel good. We get to say that being good matters to us and tell everyone we know about this movement and encourage them to participate. We don’t profess to be perfect or to be ethical in all ways. But we do say we’re trying. We get to do our part toward creating a better world and a different corporate landscape. One where profits are not more important that the really important stuff (like people and our planet). We are the first restaurant in Australia to receive the certification and the first business in our region of Victoria (see screenshot of B Corp site above!). What we want for the future is a place where free range isn’t even a thing because we know that ethical farming is the only way. We want a place where all people feel honoured and respected at work and that their skills and unique qualities have a place. That kindness and integrity are the norm. We intend to keep prioritising being Good and making decisions that considers the Benefit to our employees, our community and our world.